The lecture series will explore the ideology and policies of the Third Reich from Protected content , to include a review of the historical context and causes of the rise of the NSDAP; party ideology and racial theory; political structure of the party; governmental framework of the Führerstaat; the SS; social, economic and cultural policy; foreign policy; and the Holocaust. Participants will gain insight into the main research controversies and trends, e.g. the debate around the intentionalist (or “Hitler-centric”) vs. the structuralist/functionalist approach; the issue of primacy of politics over economics; the role of racial theory in determining foreign policy; and historical judgment of the Third Reich. 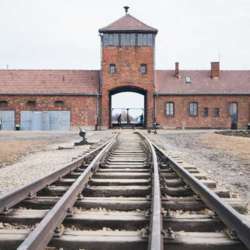 Film material from the BBC documentary “The Nazis, A Warning from History,” (academic consultant Sir Ian Kershaw) and other selected audio-visual material will complement lectures, highlight aspects of special interest, indicate research trends, or provide alternative evaluations. Discussions will focus on research issues and problems.